Angela Merkel is a “deeply convinced Atlanticist,” a German government spokesman has said, after the chancellor called on Europe to rely more on itself rather than on the US and UK, sending shockwaves through Western capitals. 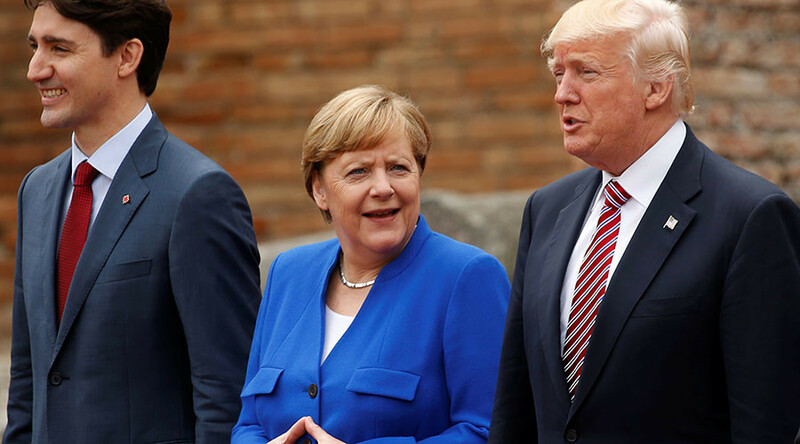 “Because transatlantic relations are so important to this chancellor, it is right from her viewpoint to speak out honestly about differences,” Seibert added. Later in the day, Interior Minister Thomas de Maiziere echoed Seibert’s statements, saying: "I can only say transatlantic cooperation, especially in the security domain, is of paramount significance for our country." "I am confident that the issue of security cooperation will not be among the most difficult issues in the Brexit negotiations," he added. "A lot unites us here." Merkel put European unity and independence ahead of ties with the US and UK in her Sunday speech in Munich, during an event organized by the Christian Social Union (CSU), the Bavarian sister party of Merkel’s ruling Christian Democratic Union (CDU). “We Europeans must really take our destiny into our own hands, of course in friendship with the United States, in friendship with Great Britain, with good neighborly relations wherever possible, also with Russia and other countries – but we have to know that we have to fight for our future and our fate ourselves as Europeans,” Merkel said. “The times in which we can fully count on others are somewhat over, as I have experienced in the past few days,” she argued. The chancellor was speaking a day after her return from the G7 summit in Italy, where she met US President Donald Trump and other world leaders. But the talks, particularly on the Paris climate change accord, did not appear to go as smoothly as expected. Merkel described the discussions on climate change as “very difficult, not to say very unsatisfactory.” She also noted that strong ties with France’s newly-elected president, Emmanuel Macron, were necessary to cement European unity. Although there has been no official reaction from Washington or London so far, the chancellor’s strongly-worded comments appear to have signalled a potentially seismic shift in transatlantic relations, according to some observers. “This seems to be the end of an era, one in which the United States led and Europe followed,” said Ivo Daalder, a former United States envoy to NATO. “Today, the United States is heading into a direction on key issues that seems diametrically opposite of where Europe is heading. Merkel’s comments are an acknowledgment of that new reality,” he told the New York Times. 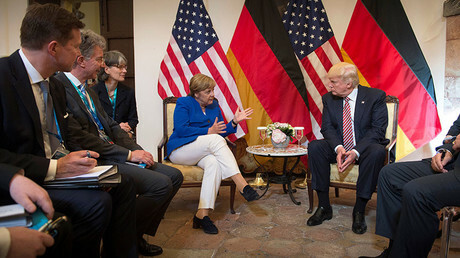 Richard Haas, president of the influential Council on Foreign Relations and a veteran American diplomat, described Merkel's comments as a "watershed" in relations between the two allies. "It's what the US has sought to avoid since World War II," he said. Merkel says US under Trump no longer reliable partner. And UK has left the table. It's now time for EU to re-invent itself & move forward. Guy Verhofstadt, head of Brexit negotiations for the European Parliament, said that the possible shifts in decades-long transatlantic relationships will not have any ramifications for the EU’s future. "Merkel says US under Trump no longer reliable partner. And UK has left the table. It's now time for EU to reinvent itself and move forward," Verhofstadt tweeted.